PIC Focus Alert: End Your Suffering & Simplified Steps for Beginners & PIC-Avoiders (Update 9/22/16) - Perelandra Ltd. The 2016 political cycle sure has been unlike anything we've ever seen in this country! And there are still about seven weeks of this madness to go, which may seem like forever. It's not just those of us in the U.S. that are concerned. Many people around the world are paying close attention and feeling concerned, even threatened. Here are some Perelandra tools that will help you maintain sanity while enduring madness. If the current political season has ceased to be a "silly season" in your mind and has now become a threat to your safety, your health, your finances, your job . . . we offer the following suggestion for heavy-duty support. It's for both beginners and seasoned PIC ("Perelandra Information Center") users. If you've been resisting PIC, now's the time to look at what PIC can give you for the sake of your health, well-being and sanity. We still have to endure a couple more months of this stress-inducing season. Why not take advantage of the best support we can get to reduce the suffering and fear, and put us more at ease in our daily lives?! If you are already using PIC, we've taken out the hard part and are giving you the wording for a good focus to use. If you are new to PIC and feel overwhelmed, we have simplified the steps to make this easy. through this current political cycle and maintain my sense of balance." If you are already using the PIC List, just insert the above wording on the "Focus of Test" line and start testing. PIC = Perelandra Information Center. 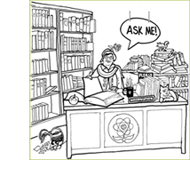 Think of PIC as a specialized "library and classroom in the sky" that holds the complete body of information and understanding connected with the Perelandra bottled products. "I'd like to activate PIC." The connection will occur instantly. No waiting, no testing and no drops are needed. 2. Have a copy of the PIC List in front of you. Now ask: "What will give me the support I need physically, emotionally and mentally to move through this current political cycle and maintain my sense of balance?" 3A. You may use PKTT (the Perelandra muscle testing technique) to test the PIC List to identify which bottles are needed for the focus. Be sure you test every line on the List, one name at a time. 3B. If you don't use PKTT, PIC will work with your unique package of tools that naturally kick in when you seek information and understanding, especially your intuition. First relax and quiet/settle your mind. When you're ready, read each name on the PIC Testing List slowly, one name at a time. Allow yourself the calm, quiet and space to feel your intuition working as it indicates the "yes" for the bottles that are needed and "no" for the bottles you won't need. Don't second guess yourself and trust your PIC-assisted intuition. Place a mark next to the bottles or write down the name of each bottle that jumps out and feels like a "yes." After reading through the entire List, you'll end up with the names of the bottles needed for this focus. Your biggest challenge is to stay out of your own way and let your PIC-assisted intuition do its job. If you don't receive intuitional insight immediately, your best bet is to "walk out PIC's door" (close your connection) and get on with the rest of your day. Come back to PIC and this focus in the next day or two. Just open PIC and read the focus again. You'll be more relaxed and will be able to sense your intuition more clearly. "I'd like to close PIC now." The PIC session closes immediately. 5. The bottles that tested positive on your List contain the electric patterns that you need for your personal support during this challenging election cycle. They are your "PIC Unit" for this issue/focus. Take the drops needed for this unit twice daily; once in the morning and once in the evening. You are taking these drops orally, one bottle after the next, until you've taken the drops needed from each bottle. Take 1 drop from each bottle. Take the number of drops listed on each bottle. 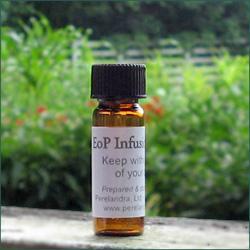 All ETS (Humans, Animals, Plants, Water, Soil, Atmosphere, Soil-less Gardens): Take 10 drops from each bottle. 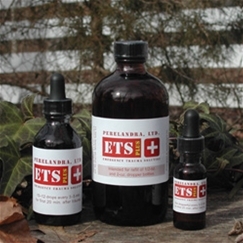 All other Perelandra Solutions (EoP, Mouth, Joint Health, Canine External Parasites, etc. ): Take the number of drops listed on each bottle. Take a dose (one dropperful) of ETS for Humans 3 to 5 times daily throughout the entire election season. If you find news of the day's not-so-amusing political antics disturbing, distracting or annoying, keep your EoP Infusion Pump bottle in your pocket each day until after the election in November. It will help you keep your equilibrium.